Leave The Poor Weather Alone! 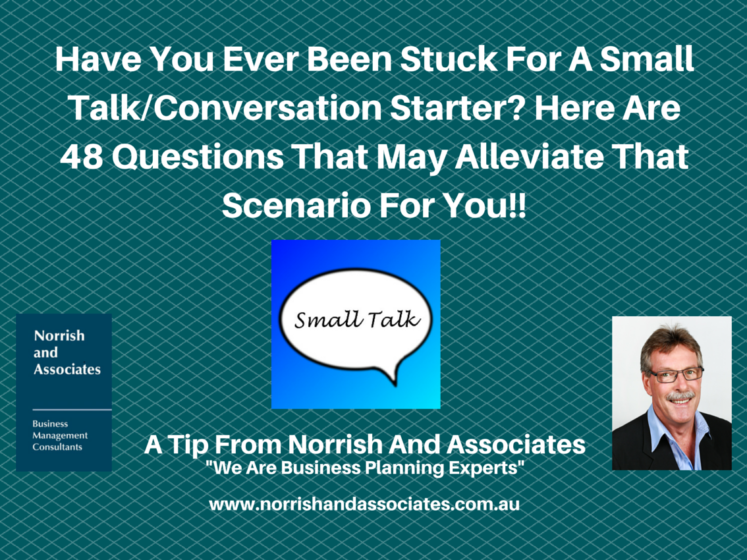 Avoid Having To Deal With Uncomfortable Small Talk Ever Again! Every day is full of potential awkward silences and strained conversations. Standing around for an elevator, waiting for your coffee to brew, or just meeting new people all require a decent amount of chit-chat. We know exactly how painful these moments can be. Thankfully, Aja Frost has created a unique (and weather-free) list of questions that’ll make you sound like a small talk pro. And bonus: It’s almost guaranteed to make everyone around you sound a lot more interesting. That Is, The Size Of Your Ego! Liz Wendling offers her thoughts on the necessary ego level we all should have and/or aspire to have! She says that “Egos are necessary but need to be tempered with a healthy dose of insight, empathy and diplomacy. 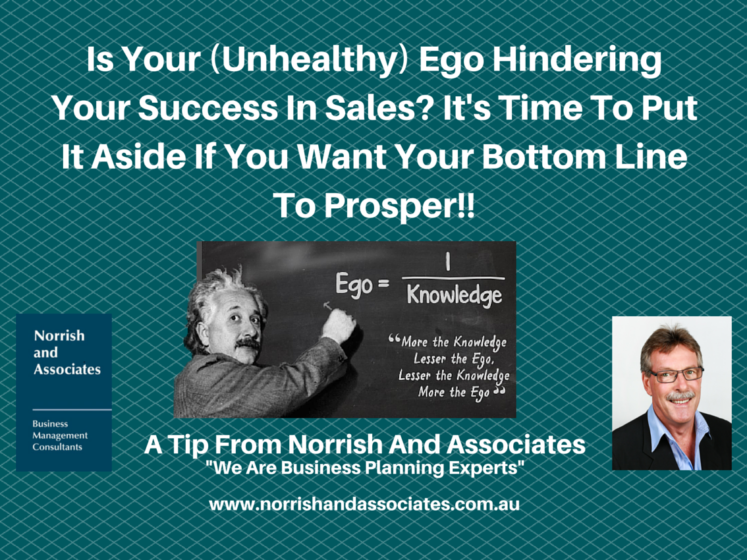 Big egos turn customers off, compel them to lie to you, and avoid you”. Sounds like good advice to me. 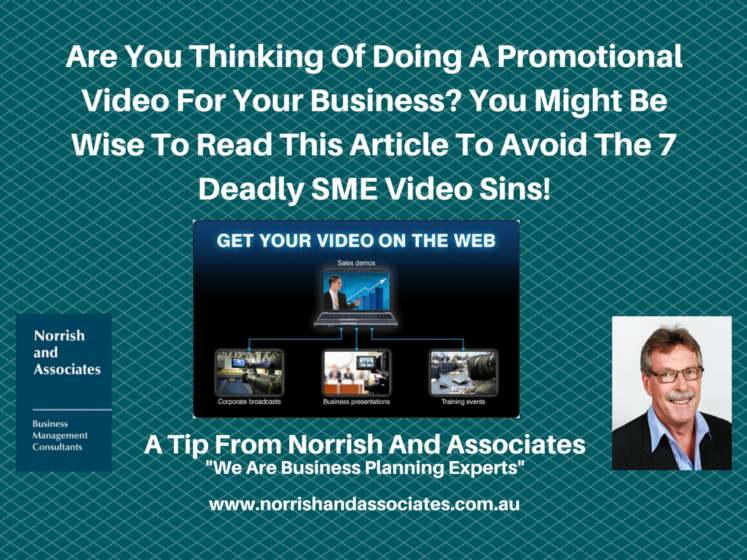 Seven Deadly SME Video Sins! I saw this article in The Age from Caroline James. As there is a tendency in today’s business environment for SME’s to use video to promote their message, it is critical that the message is properly prepared so that it is positive rather than negative. The article is certainly worth a read!